A Decadent Sorbet Floral Bouquet – Without The Luxurious Price Tag – This Champagne Sorbet is a Classy, Elegant Arrangement With A Real Wow Factor! All Flying Flowers Sympathy Flowers Come With FREE UK Delivery & FREE Pop Up Vase. Express your condolences with a thoughtful sympathy floral bouquet. Flying Flowers offer a beautiful collection of sympathy flowers ideas. 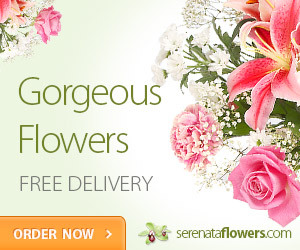 These flowers arrive in bud to ensure long life and guaranteed freshness. For a guaranteed delivery date, simply upgrade when you get to the checkout, or choose Same Day Flower Delivery by Florist if you require flowers delivered today. Sympathy Flowers are a great way to show that you’re thinking of loved ones when someone has suffered a loss with a carefully selected bouquet. Flyingflowers.co.uk offer a number of beautiful stems in muted tones to create stunning sympathy arrangements – From white lilies to cream roses and muted germini, these bouquets will certainly let someone know they are in your thoughts at this difficult time with a humble sympathy bouquet. These stunning FloralCards are 22cm high and 17cm wide and are filled with beautiful fresh cut stems. Every Flowercard carries your unique personal message.